This entry was posted on Sunday, April 26th, 2015 at 23:33	and is filed under DOD, Performer Series. You can follow any responses to this entry through the RSS 2.0 feed. You can skip to the end and leave a response. Pinging is currently not allowed. Hey there, thanks for the writeup! 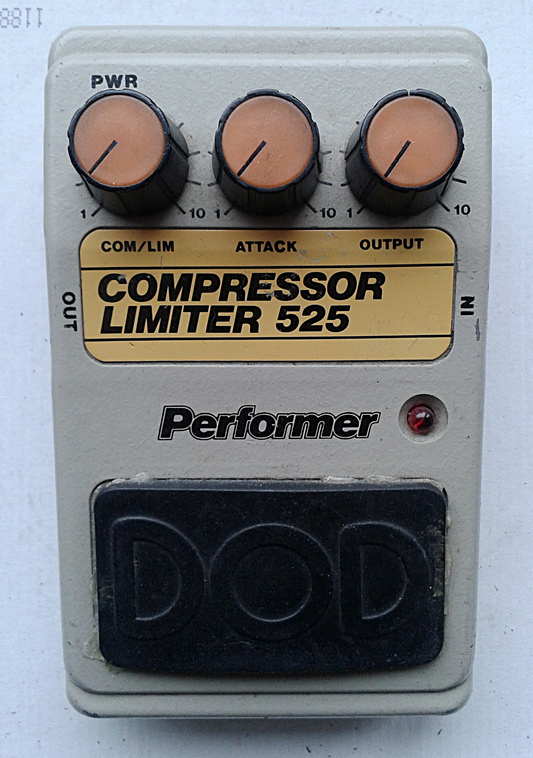 In your opinion, regarding the noise level, would you say this is as noisy as a DynaComp? And, do you know if there’s any significant changes between the 525 versus the 525-A? Without checking the schematics, i think the OTA used is different. Basically the same pedal. As are FX80B’s versions with “attack” and “release”..
All OTA-based comps are somewhat mushy/noisy, but this keeps fairly clean. So. Not as noisy as Dyna. 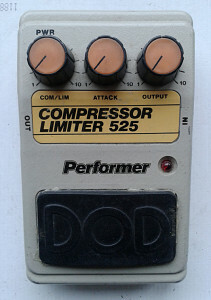 I have a DOD 525 Compressor Limiter. 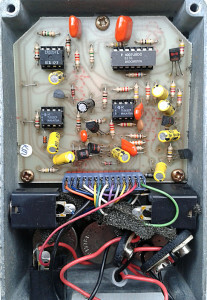 LED is operating, but there is no audio output. I am guessing one of the IC chips is broken? Can you suggest likely broken chip, or are they cheap enough to try replacing all IC chips. What company/website should I try? Entries (RSS) and Comments (RSS). 24 queries in 0.068 seconds.